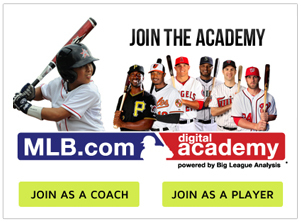 March 11th 2015 - USSSA partners with MLB.com Digital Academy offering unique tools for COACHES and PLAYERS along with MLB.com Coaching Certification. Click on the image above for more information. MLB.com will be streaming LIVE action from 14 different USSSA Dual Super NIT's across the country during the 2015 season. They will be at the MidSouth USSSA Dual Super NIT in Southaven, MS on May 10th with live action of the 12 and 13 year old Major Division Championship Games.